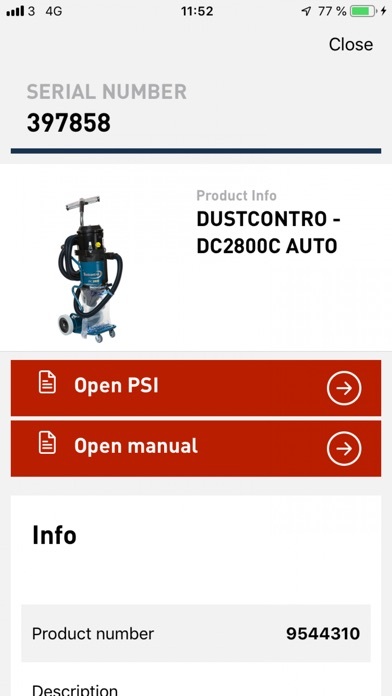 Cramo Product Viewer gives you quick access to information and documents related to your Cramo rental machines. You can easily find copies of available inspection documents, safety instructions, manuals etc. without having to keep track of paper documents on your job site. 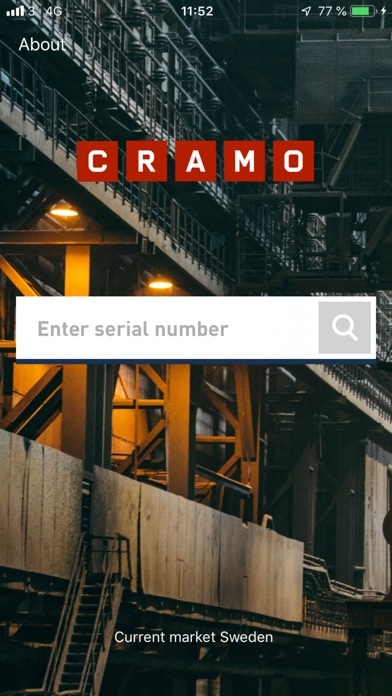 Just enter the unique serial number for the equipment or take a photo of the serial number plate with the apps image scanning tool. 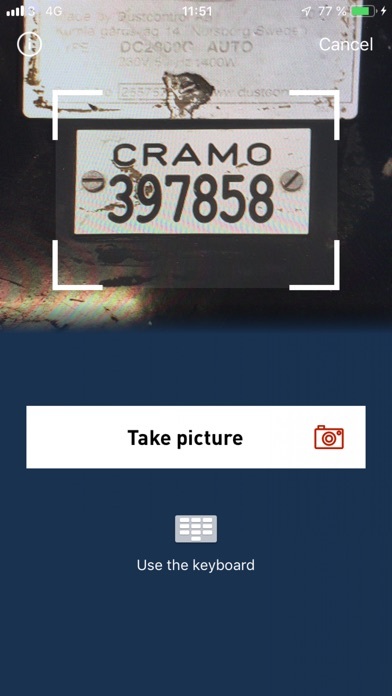 When scanning, please hold the camera close to the serial number to avoid including surrounding items, such as pop rivets that may mislead the automatic scanning functionality.